Sarawak is the largest of the 13 states of Malaysia. It is located in northwest Borneo Island, and is bordered by the Malaysian state of Sabah to the northeast, Kalimantan (the Indonesian portion of Borneo) to the south, and Brunei in the north. The capital city, Kuching, is the largest city in Sarawak. As of the 2015 census, the population of Sarawak was 2,636,000. Sarawak has an equatorial climate with tropical rainforests and abundant animal and plant species. The coastal regions of Sarawak came under the influence of the Bruneian Empire in the 16th century. In 1839, James Brooke, a British explorer, arrived in Sarawak. He and his descendants governed the state from 1841 to 1946. During World War II, it was occupied by the Japanese. After the war, the last White Rajah, Charles Vyner Brooke, ceded Sarawak to Britain, and in 1946 it became a British Crown Colony. On 22 July 1963, Sarawak was granted self-government by the British and subsequently became one of the founding members of the Federation of Malaysia, established on 16 September 1963. The Melanau are a native people of Sarawak that lived in areas primarily around the modern city of Mukah, where they work as fishermen and craftsmen as well renowned boat-builders. Historically the Melanau practiced Animism, a belief that spirits inhabited objects in their environment, and while this is still practiced today, most Melanau have since been converted to Christianity and Islam. They speak a Northwest Malayo-Polynesian language. The Bidayuh are a southern Sarawak people that were referred to by early European settlers as Land Dayaks because they traditionally lived on steep limestone mountains. They account for 8.4 percent of the population of Sarawak and are the second most numerous of the indigenous Dayak people, after the Iban. Although considered one people, their language is regionally distinct resulting in dialects that are unintelligible to Bidayuh from outside the immediate locale. As a result, English and Malay are the dominant languages. Like many other indigenous peoples, the majority of the Bidayuh have been converted to Christianity,but still live in villages consisting of longhouses, with the addition of the distinctive round baruk where communal gatherings were held. Malaysian – Sarawak – Melanu represents 128 unrelated individuals from the Melanau indigenous region in Sarawak who were sampled in 2007 by the Department of Chemistry of Malaysia in Sarawak, Malaysia. 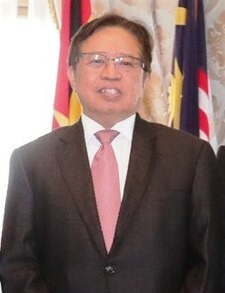 Malaysian – Sarawak – Iban represents 195 unrelated individuals from Iban in Sarawak who were sampled in 2007 by the Department of Chemistry of Malaysia in Sarawak, Malaysia. Malaysian – Sarawak – Bidayuh represents 195 unrelated individuals from Bidayuh in Sarawak who were sampled in 2007 by the Department of Chemistry of Malaysia in Sarawak, Malaysia. Source publication: STR Data for the AmpFlSTR Identifiler Loci from the Three Main Ethnic Indigenous Population Groups (Iban, Bidayuh, and Melanau) in Sarawak, Malaysia, JFS, 2007, p231-234.